My Mission is to help you achieve your goals and dreams while helping you create a business and life you love. I've been in business for over 19+ years and have over 25 years of business experience. As a former CEO who built a "Top Notch" language agency from the "ground up" in less than 3 months and who was able to land million dollar contracts both locally and abroad (in my first year)... I'm ready to help you, Boss, Up and Rise and ready to Help You Build the Business of Your Dreams! A free step-by-step entrepreneur downloadable plan created for aspiring entrepreneurs. In this call be prepared to ask all your questions and concerns, so that I can provide you with my recommendations. Remember: Anything is possible if your heart and soul are in it, and you can definitely build a lucrative business without compromising your personal life or family time! What is the CEO Hustler Mastermind? The CEO Hustler Mastermind is a 6-month online interactive video training program for entrepreneurs who are ready to build a successful business, or for those struggling to grow their business. 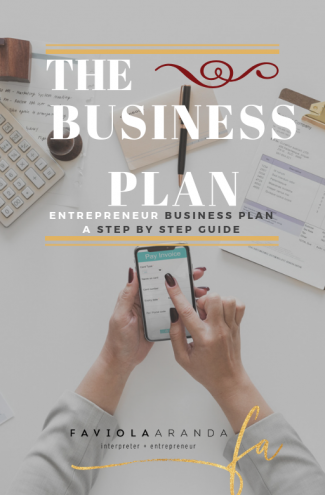 Did you know that in order to start a business (the right way), you need a plan, a vision, a "roadmap, foundation" in order to avoid the RISKS involved in the Business World? Well, let me tell you there are so many pros/cons when starting a business because there are so many procedures involved, so many moving pieces when starting a business and without a without a vision, focus and a plan you will not be able to execute the strategies. And, more importantly, without the proper "foundation", plan, processes and procedures, the whole business process will be very overwhelming. 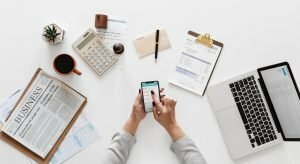 The CEO Hustler Mastermind will help you with all those overwhelming "moving pieces" and will help you set the "foundation" for your business but more importantly SAVE YOU years of EXPENSIVE "trials and errors". I've helped 1000s of aspiring of entrepreneurs and I'd be my honor to help you too. 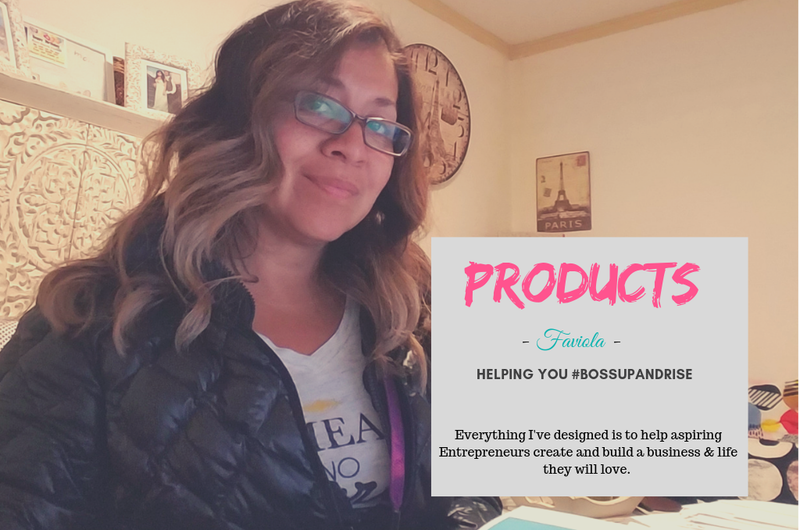 The Boss Up and Rise Workshop is a 90 Day online interactive video workshop that will teach aspiring entrepreneurs who are struggling to grow a successful business. Whether you're a brand new business or an established business who is struggling to grow and "Kick Start" their business the Boss Up and Rise Workshop is just for you! Work When You Want and from Wherever You Want. Get Your System and Strategy in Place so that You Can Earn Your Worth. This Workshop will help you build the "foundation" and process to build your business, and it will help you turn your part-time "gig" into a Full-Blown Business! So, if your Business is lacking clarity, vision, strategy, steps, then this workshop is just for you! 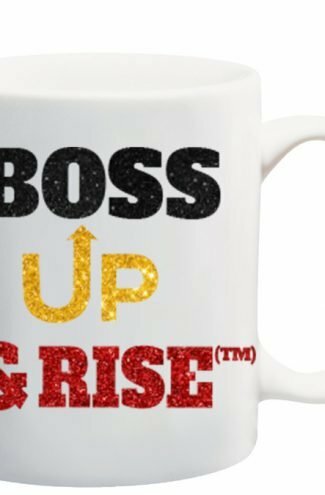 Finally, if your ready to make your Vision, Dreams, and Goals a reality, then this Boss Up and Rise Workshop is just for you! Remember: Starting and Running a business is NOT "Rocket Science", but it does take; hard work, dedication, time, money, and lot and lots of motivation, and positivity in order for you to succeed! It's NOT going to happen overnight, but it will happen! 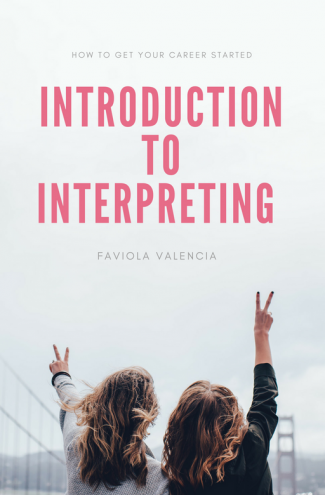 The Introduction to Interpreting Workshop is an online interactive video training program that will teach you the steps you need to start your Interpreting Career. This online interactive video workshop is a 30-day training provided live (1-hour per week), it will provide aspiring interpreters with what they need to start their freelance business, and help those who are struggling to "tap" into this billion dollar industry. If you want to use your bilingual skills to start your interpreting career. 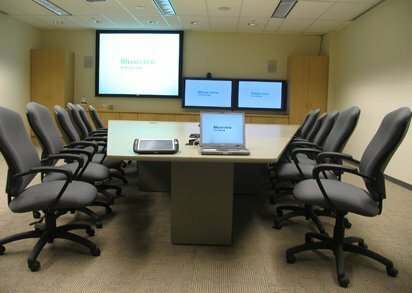 If you want to learn what it takes to become a freelance interpreter. This workshop is for those of you who are tired of going here and there, paying for this training and that training and still NOT earning your worth. This workshop is also for you, if you are struggling to start and grow your freelancing career and if you're ready to shine and ready to Boss Up and Rise. In this workshop I will share with you the ins/outs of the industry. What you need. What it takes. How to Start. What it takes to be a Good and Professional Interpreter so that you can Earn Your Worth. This BootCamp Workshop is an online interactive video training program that will provide you with the business steps you need to start your Entrepreneurship Business. This online interactive video workshop is a 30-day training provided live (1-hour per week). This training provides aspiring entrepreneurs with what they need to start their business, as well as help those who are struggling to "tap" into this billion dollar industry. If you want to use your skills to start your business. If you want to learn what it takes to start your business (the right way). If you want to learn what it takes to earn your worth. If you want to get your "foundation", strategy in place to earn your worth. This workshop is also for you, if you are struggling to start and grow your business and if you're ready to shine and ready to Boss Up and Rise. In this workshop I will share with you the ins/outs of the industry. What you need. What it takes. How to Start. What it takes to be a Good and Entrepreneur so that you can Earn Your Worth. 24/7 Access. Anytime. Virtual and Onsite. 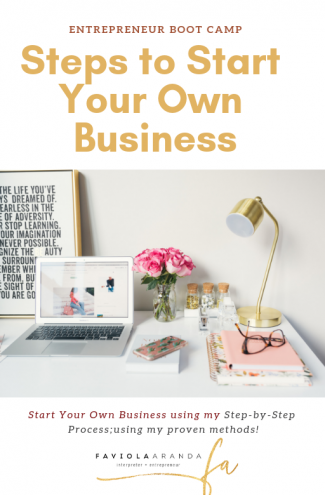 Self Study Step-by-Step Downloadable Programs have been designed to help everyone who's struggling with both time and budget, but are ready to start and grow their business. This option is great for everyone who's ready to Boss Up and Rise and ready to learn and do what you need to "Kick Start" your business right now, and at your own pace. 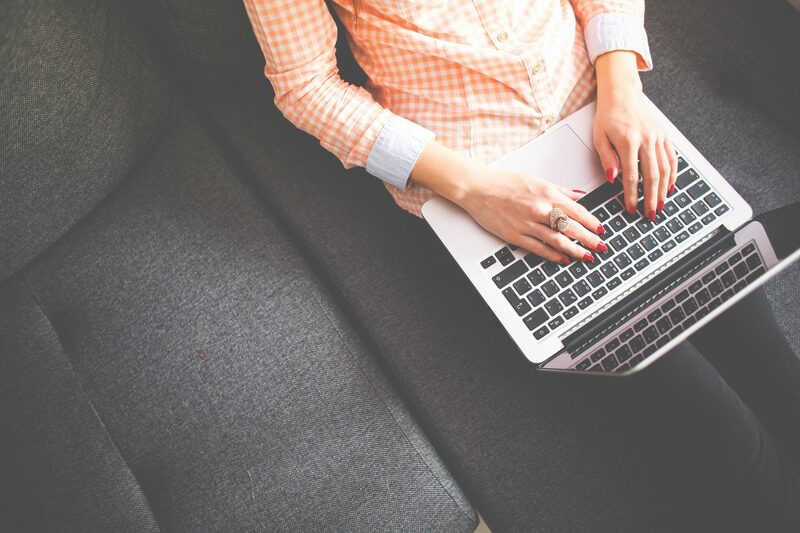 These are fast and fast and easy to use step-by-step downloads created for you in mind. These Self Study Step-by-Step guides will help you overcome all those business hurdles and will help you move towards your goals and dreams!